The government has made some changes to the regulations for Continuous Insurance of vehicles in the UK. From 16-12-2013 it will no longer be necessary to renew a SORN every year as long as you remain the owner of the car. But if you sell a car on a SORN, the new owner will need to register it to himself and declare his own SORN. The SORN does not pass from one keeper to another. Last year, around 4 million SORNs were made, with over 1 million of those repeat renewals. Additionally, registered keepers will no longer need to have their insurance certificates checked when re-taxing a vehicle. The changes to insurance checks have been made possible because DVLA regularly checks existing databases for insurance under Continuous Insurance Enforcement rules. DVLA's records are compared regularly with the Motor Insurance Database to identify registered keepers of vehicles that have no insurance. Ashton West, Chief Executive at the Motor Insurers' Bureau (MIB) said: "Motor insurance remains a legal requirement and these changes recognise the value and importance of the insurance records held centrally on the MID. The introduction of Continuous Insurance Enforcement in 2011 was always designed to provide a more robust and technology driven solution to ensuring that vehicles have insurance in place. The successful introduction of the new process by the DVLA and the MIB has enabled these changes to be made now, which will bring benefits to millions of motorists." The Continuous Insurance Enforcement (CIE) scheme to tackle uninsured motorists was launched in June 2011 making it an offence to be the keeper of an uninsured vehicle whether on the road or not, unless a SORN has been declared on the vehicle. Information is cross checked between the Motor Insurance Database (MID) and DVLA keeper records. Under CIE, keepers of vehicles which appear to be uninsured are sent reminder letters. Those who take no action receive a fixed penalty notice of £100, followed by enforcement action - wheelclamping, impounding and ultimately prosecution by the courts (the maximum fine in Court is £1,000). For the offence of driving without insurance the police can offer a fixed penalty of £200 plus six penalty points, or prosecution (maximum fine of £5,000), discretionary disqualification and mandatory endorsement of between six and eight penalty points. Since 2005 the police have had the power to seize uninsured vehicles. In 2011 they seized 140,000 vehicles. Drivers and owners can check their vehicle is on the Motor Insurance Database at www.askMID.com. The removal of the insurance check applies to motorists in GB; the removal of the need to SORN each year applies to all motorists in the UK. I have an outstanding fine due on 12th December. Do I still need to pay? Was hoping to get out of that one! Thanks for the info DAve. The above explanation is ambiguous. My bike is permanently off the road as it is used solely for racing. Therefore it is not insured. If no SORN is required, then what prevents a fine or prosecution coming through the post if it remains uninsured? 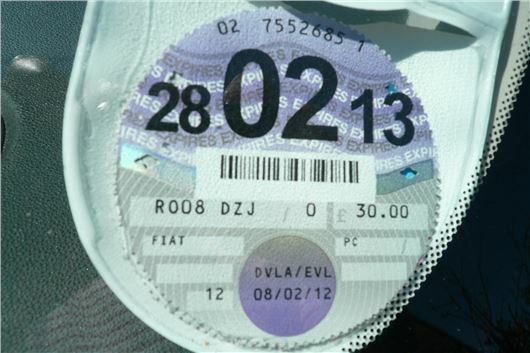 So if the registered keeper's insurance is no longer checked when re-applying for a tax disc, does that mean we can now get a tax disc with just temporary insurance cover? For example, my track car is always SORN, but to save trailering it to a show, I could get a week's temporary insurance, tax it, race it, then claim the tax back... rather than taking out a full year's insurance policy, before having to try and claim that back from the insurer a week later! Or changing my car on my policy! Dont be tight...buy a new Brian James trailer...! Wished I had read this before just spent 1/2 an hour trying to renew SORN on line. Thanks for the info. SO I've one or two motors and a couple are on the road and in use and a couple or more are off the road. This has been the case for a few years and I know only too well the statutory requirement to continuously licence whether that be via a tax disc in the window or a SORN. We know this only too well by falling foul of the SORN penalty fine when it was first introduced. You subsequently therefore become a little paranoid in ensuring that everything vehicular that you own fully complies with their rules and regulations. Using the online functionality couldn't be easier and a quick email back from them confirms that you are all SORN'd up for another 12 months. Fantastic, got those filed away so I won't be required to top up the DVLA xmas party fund this year BUT WAIT something has changed ....late December apparently the changes announced in the 2013 Budget have taken effect and your SORN is now indefinite. The little note on the DVLA Home page says this:If your vehicle has a SORN which is due to expire, this has now been made indefinite. If you need to tax your vehicle, please use your V5C Registration Certificate (log book) as your tax reminder (V11) has been made invalid by this change. What about my comfort blanket of an email confirmation that I am complying with your regulations and that I am safe from receiving a fine for non compliance? What about your operators words of wisdom that still ring in my ear saying that if I didn't continuously SORN I would loose my entitlement to my personalised number plate? What about just a link on your advisory message to the Budget announcement and some helpful background? What about just a smidgeon of customer empathy to explain to the folk who submit 4 million SORN's per annum that a change has been introduced. Thank goodness for Google and especially the Honest John website who does a cracking job of keeping motorists up to speed...because you DVLA certainly dont!! Hello just read this article . In November 13 was issued with a fine (£80) plus arrears of tax £28) as car sorn renewal ran out in October. Firstly wasn't aware that had to sorn yearly ( and secondly had moved house and all renewals went to old address when told them this they were having none of it .. Even tho sent all documents for change of address which they say haven't received . Then was asked if retained green slip(am pretty sure it says send whole document ) so the lady replys oh we'll you'll have to pay £28 for new ones(2) we'll I'm not a happy man and think I've been had here.